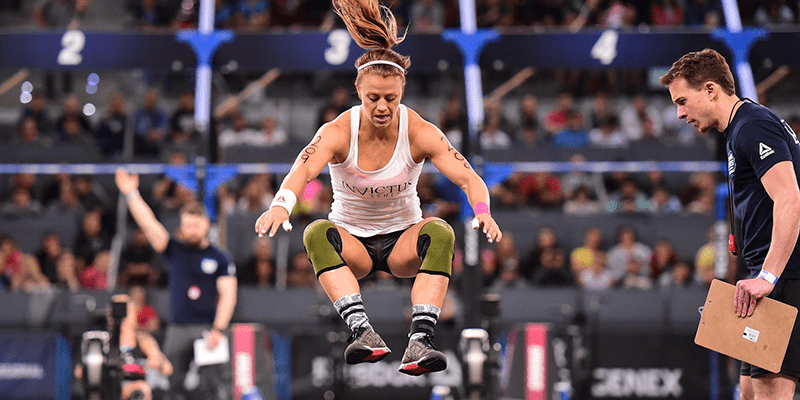 Everything you need to know about Norwegian Crossfit legend Kristin Holte. The 18.1 CrossFit Open workout will first be performed by Kristin Holte and Sam Briggs at the live announcement on Thursday 22rd of February in Sao Paulo, Brazil. Kristin Holte is Norwegian, born in 1986. She lives in Oslo, studied clinical nutrition and started doing CrossFit in 2012 at CrossFit Oslo. Her first CrossFit Games appearance was in 2014. She has since been on the podium a couple of times in the CrossFit Regionals and is a regular face at The CrossFit Games. Norway is part of northern Europe in this years Regionals. Kristin Holte has made it to the Regionals and Games every year since 2014. She narrowly missed Games qualification in 2013 when she landed 7th place in Regionals. She was the only non Icelandic girl to make it past Regionals in 2015. She trains in two places, either at CrossFit Oslo in Norway or at CrossFit Invictus in San Diego, USA (where her coach CJ Martin operates). This contrast of conditions, between the weather of Oslo and San Diego, is useful for her because it more closely replicates the conditions that she will compete in. It is quite different to train in the frost and snow or on a hot, sunny day in southern USA. Head Down, Eyes Forward ? #Kriger ⠀⠀⠀⠀ ⠀⠀⠀⠀ ✌? more weeks until @dxbfitnesschamp ??? Kristin Holte also works with a mental coach, Christian Ytterböl to help her gain mental strength and perfect her mindset for training and competing. Kristin Holte finishes the workout with the whole community cheering her on. Kristin finishes in the tenth round with 9 snatches. Final score 399.